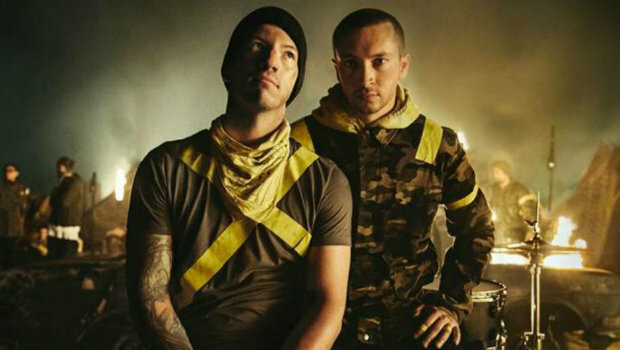 twenty one pilots has given us a new song titled “Levitate” from their upcoming album Trench. They also premiered a music video to go with it, which is the third part in a three-part video series. You can check it out below. Silent Planet recently took to social media to tease the release of their next album. So far we have the album artwork and we know it will be titled When The End Began. We’ll let you know when we get more details. DENS just shared a video of them performing their song “Vice & Virtue” at Audiofeed Festival last month. You can see it now on the Facedown Records YouTube channel. RadioU Battery band War Of Ages has announced that they’re embarking on the Warpath Tour this fall. They’ll be headlining shows across the U.S. in September and October and you can get more info below.